Rare Purchase Opportunity in Prime Location. 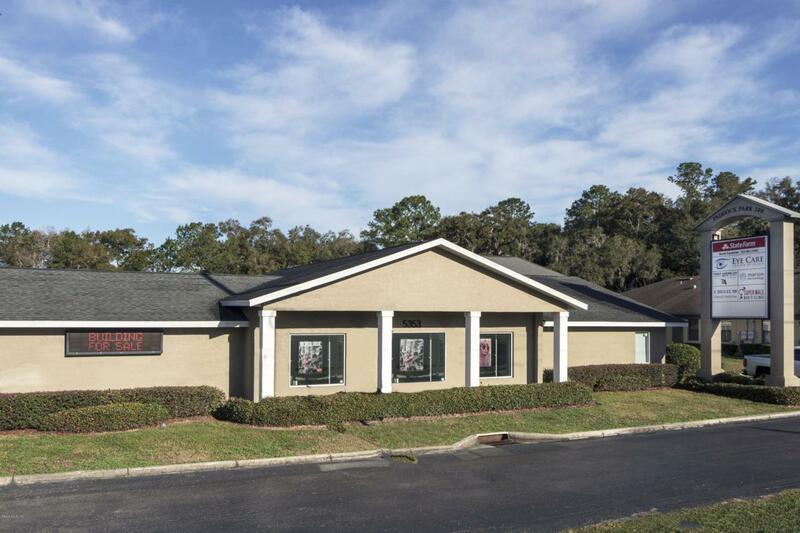 This 3,124 sf office building is centrally located in Marion County. Just two miles West of I75 on SR 200 it's easily accessible and is situated amid rapidly developing commercial district including car dealers, HeathBrook retail, medical offices, restaurants and West Marion Community Hospital. It fronts SR 200 and is highly visible with unbeatable ingress and egress. The building ADA compliant . It most recently housed an optometry practice and would be turnkey for a medical practice. Most interior walls are non-load-bearing so they are easily convertible to create space for any number of business practices: law, insurance, finance, architectural and design, spa and salon. The building is priced to sell and won't stay on the market long! Listing provided courtesy of Bruce Rider of Bosshardt Realty Services, Llc.